ObamaCare, that most controversial law forced on the US by the former Democrat super-majority in Congress, and which was a main impetus for the meteoric rise of the Tea Party movement, is being challenged in front of the Supreme Court next week, and the BBC needs to tell you what to think about the domestic policy of a foreign country. At stake is one of the most far-reaching US laws of the past several decades: President Barack Obama’s landmark healthcare reform law, aimed at providing health insurance to the tens of millions of people who currently lack it and at curbing runaway growth in healthcare costs. The keystone of the law is a requirement that Americans who lack health insurance from their employers or the government purchase it on the private market. So it doesn’t actually provide anything, does it? 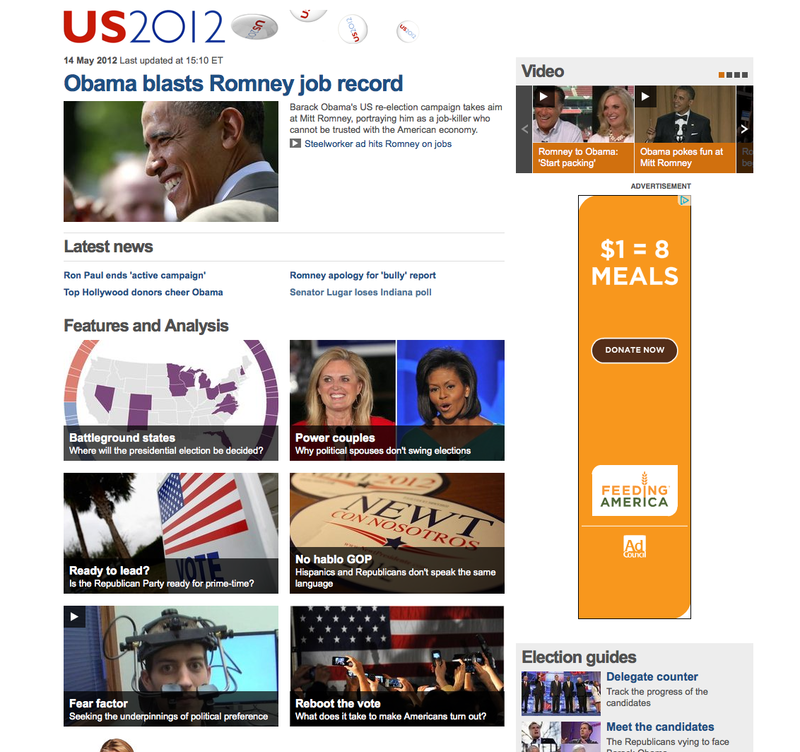 Yet the BBC opened this with a bit of White House propaganda, claiming that providing health insurance is its intent. Why? Instead, it requires citizens by law to purchase a product, and fine them if they don’t. Come to think of it, that should sound familiar to you…. Don’t bother reading the rest of it, because there’s nothing about the law itself, but rather an explanation of the hearing process: how long will the arguments take, when does the Court decide, etc. Oh, and of course the President says He can force people to purchase a product if He sees fit because the Commerce Clause can, according to accepted interpretation, give the government broad powers to regulate commerce across state lines and tax people for the pleasure. Which is about regulating commerce, not forcing people to buy a specific product That’s all going to come out next week, and Justice Scalia will be the key to all of it, as the White House is cleverly gearing their defense along the lines of one of his past rulings on another issue. Don’t expect to get honest reporting on this from the BBC, though. Yesterday’s edition of the Today programme managed the impressive feat of reporting the jailing of Rod Blagojevich without mentioning that he’s a Democrat. This morning’s edition reported on MF Global boss Jon Corzine’s appearance before a congressional committee and, while pointing out that he’s a former senator, once again there was no reference to the fact that he too is a Democrat. 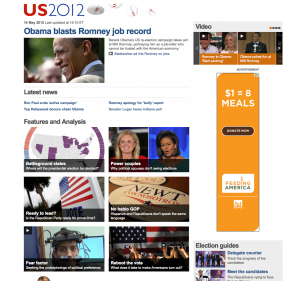 And what of Corzine’s role as a major fundraiser for Obama 2012? It’s as if any reference has been banned from on high. When a Republican is involved in a scandal the BBC makes the party affiliation the story’s hook. When Democrats are involved in scandals the BBC whistles, shuffles its feet and looks the other way. How many times do you think we’d have seen and heard these clips on the BBC if, all other things being equal, the main characters were Republicans? Actually, not so shocking. They were the “correct” sort of Christians. 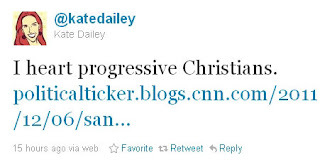 It’s not too great a leap to conclude that Dailey doesn’t feel quite the same way about conservative Christians. (The tweet links to this article about the event by a CNN journalist whose own leanings are not difficult to discern). Time and again we see BBC journalists expressing their dislike of Republicans and conservative causes while cheerleading all things Obama and “progressive”. It seems the entire BBC America staff is on the same page politically, so it’s really no surprise that the BBC’s coverage from the U.S. is so completely biased.